It may not be classified as a lifesaving procedure, but a hand transplant certainly counts as a life-altering one. “Unlike other solid organ transplants such as kidney, heart and liver, a hand transplant is not considered essential, but it affects a person's quality of life in a big way,” says Dr Subramania Iyer, professor and head, centre for plastic and reconstructive surgery, Amrita Institute of Medical Sciences, Kochi. The procedure is far more complex than other organ transplants, and has its own unique challenges. 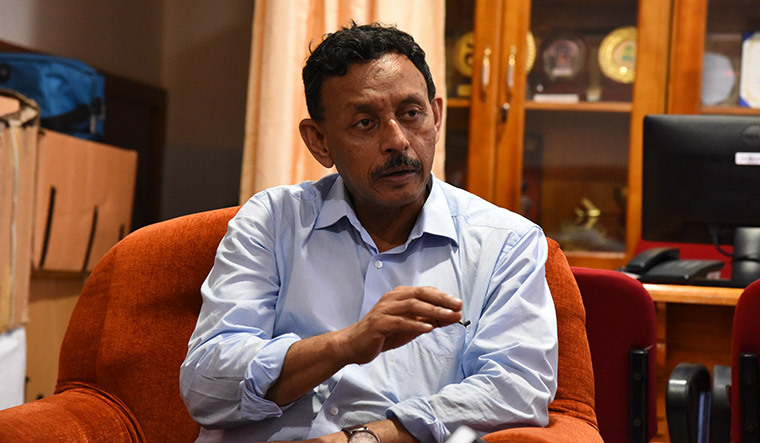 For one, Iyer, who has done five transplants in the past few years (including the first double hand transplant in the country), says donors for hands are fewer than other organs because the donor's body has to be mutilated to sever the arms required for the transplant. Though doctors will replace the mutilated arms with a prosthetic, it is still an ordeal to get families of brain dead patients to consent for the process, he says. “Though there is enough awareness on organ donation and transplants, not many are aware that a hand transplant procedure is possible,” says Iyer. Currently, only two public hospitals in India—JIPMER, Puducherry, and Stanley Hospital in Chennai—have performed the surgery. In January, Maharashtra's maiden attempt at a double hand transplant failed due to hyperacute rejection, where the recipient's immune system attacks the new organ within a few minutes of the transplant. The transplant had to be reversed to save the patient's life. A hand transplant surgery involves a transfer of skin, blood vessels, bones, tendons and nerves. The entire process takes about 14 to 16 hours, and includes a team of plastic surgeons, orthopaedics and anaesthesiologists, says Iyer. The surgery, he explains, will begin by bringing in the amputated hands from the donor and connecting the bones with metal plates and screws on the recipient. Subsequently, the donor's limb nerves, tendons and other tissues are connected to that of the recipient. “The wrist is easy to transplant. But the complexity increases as you start to go further till the elbow, and upwards from there. The regeneration of nerves takes that much longer in such cases,” says Iyer.